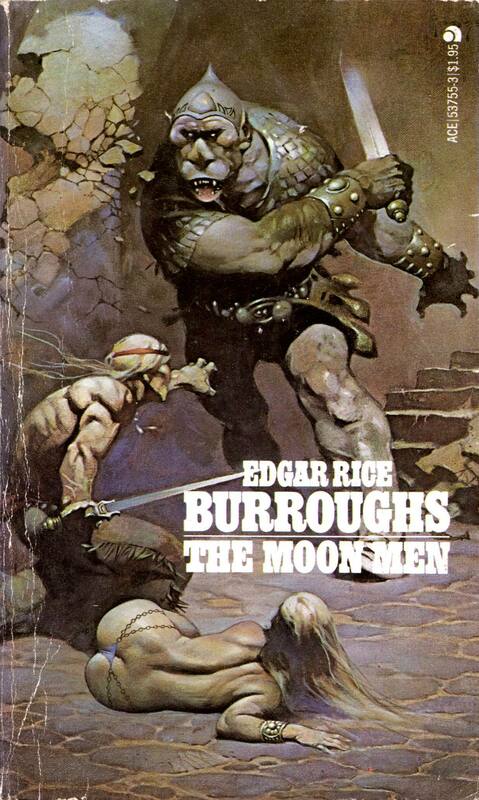 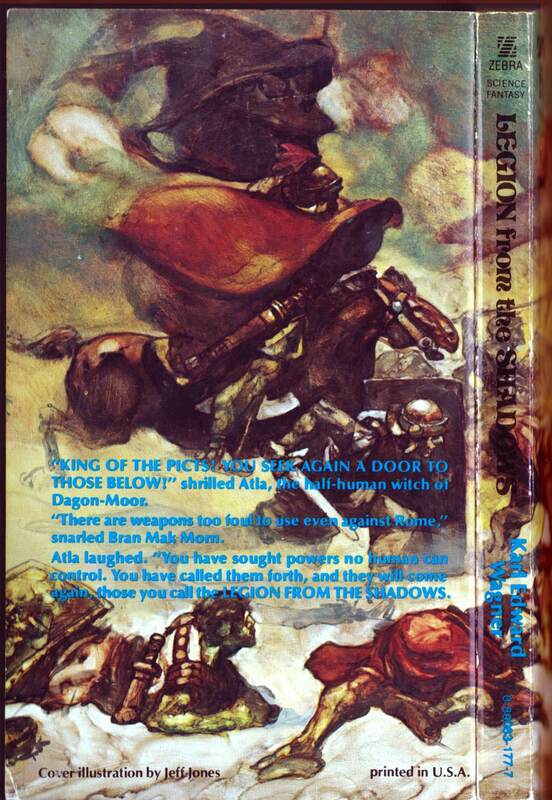 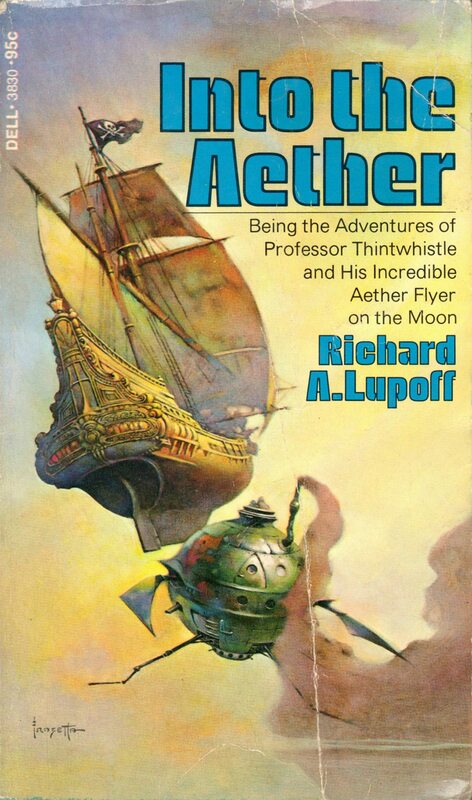 One of the following covers with art by Jeffrey Jones is pretty badly scuffed. 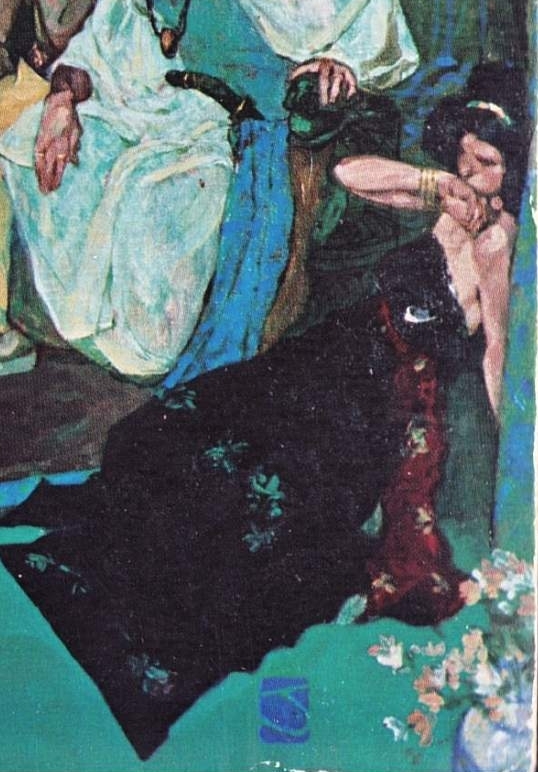 Can you guess which one it is? 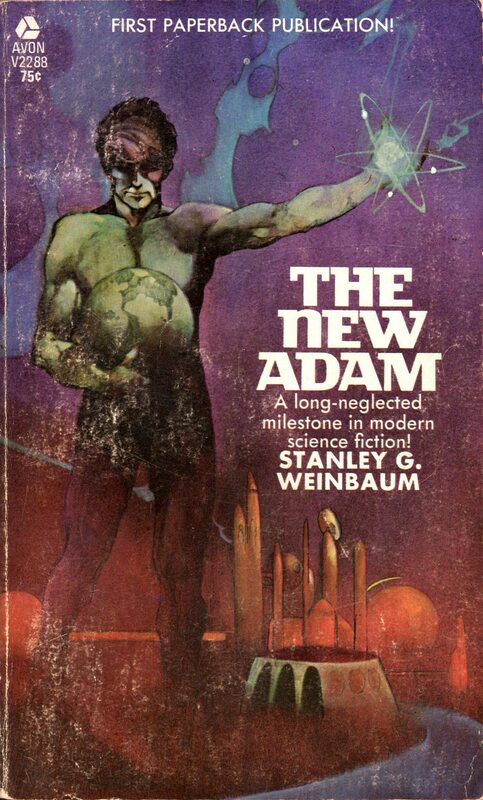 ABOVE: Stanley G. Wienbaum, The New Adam(NY: Avon, 1969), with cover art by Jeffrey Jones. 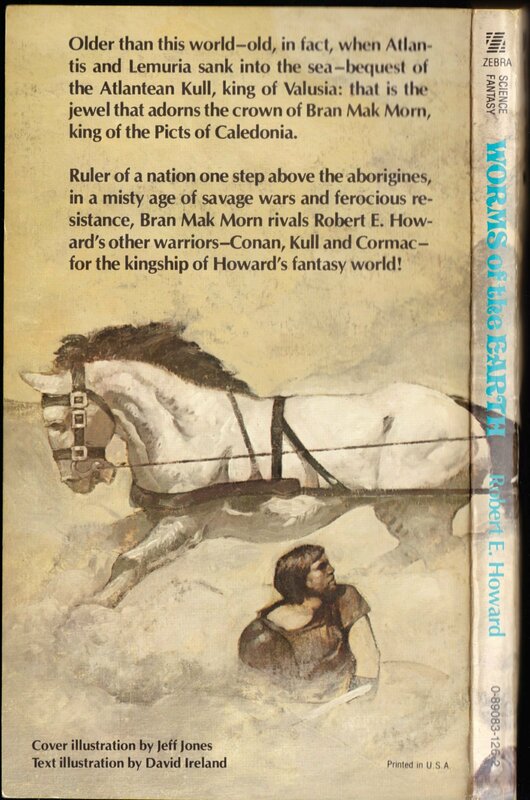 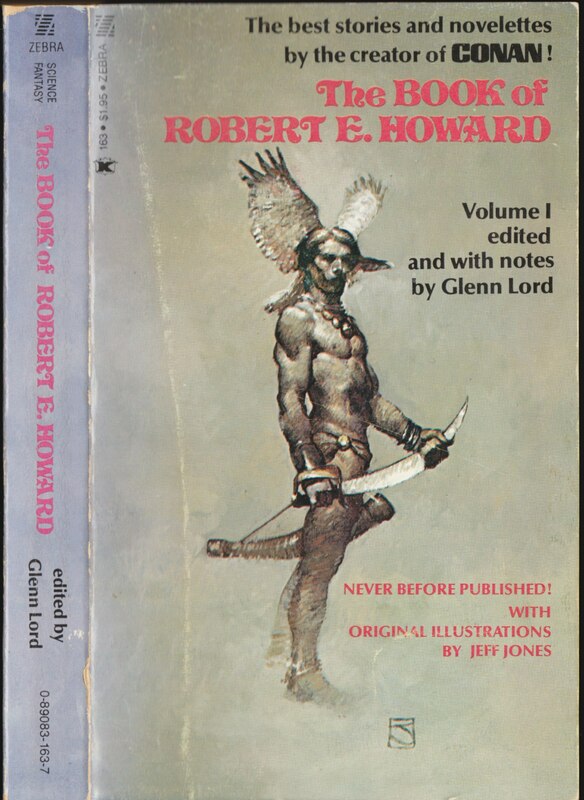 ABOVE: Robert E. Howard, The Hand of Kane(NY: Centaur Press, 1970), with cover art by Jeffrey Jones. 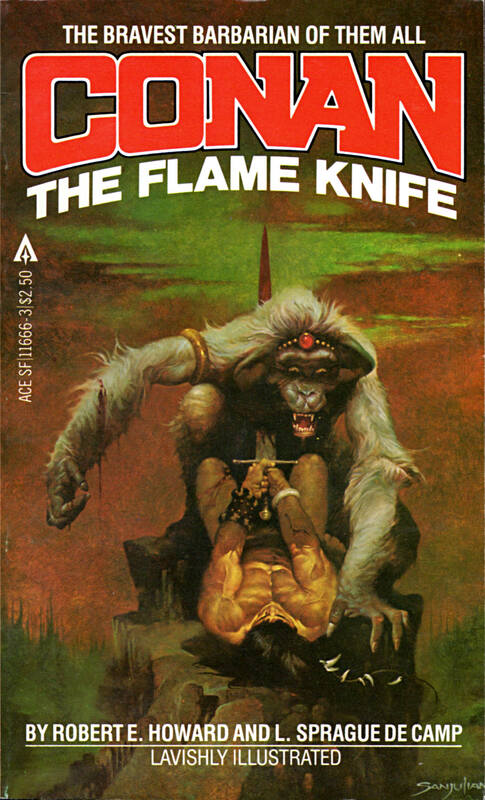 If I ever come across a better copy of The New Adam, I’ll probably buy it. 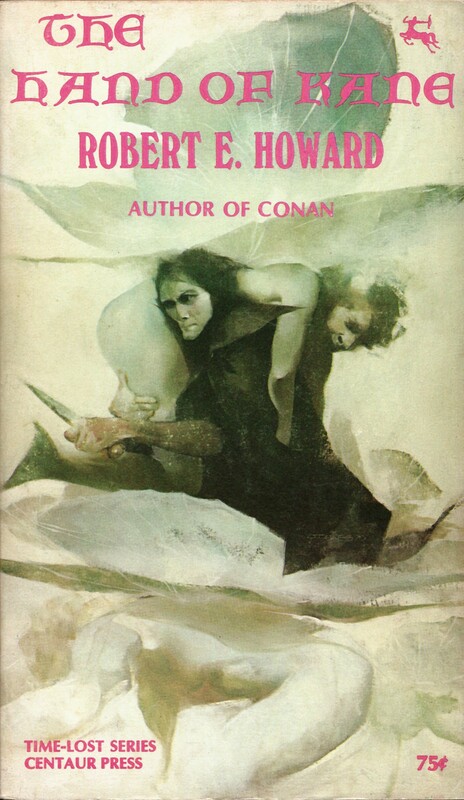 I only purchased the battered copy that you see above at a local church sale because I couldn’t, at that moment, remember having seen one before, ever. 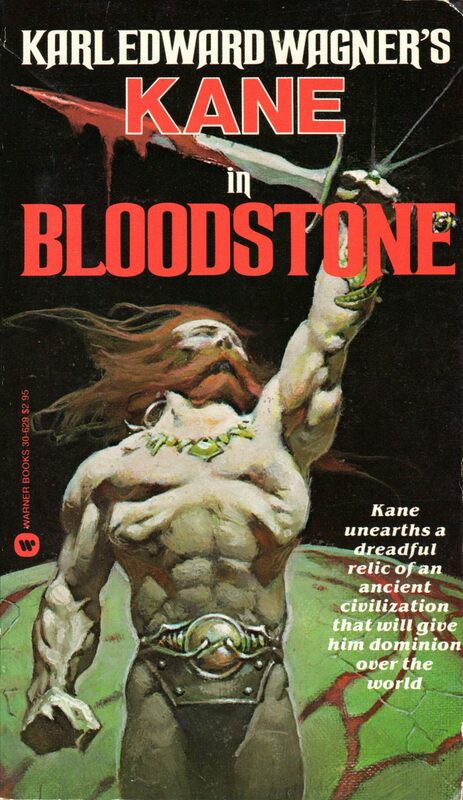 As for my copy of The Hand of Kane, I have to say, it’s in much better condition than the scan makes it look. 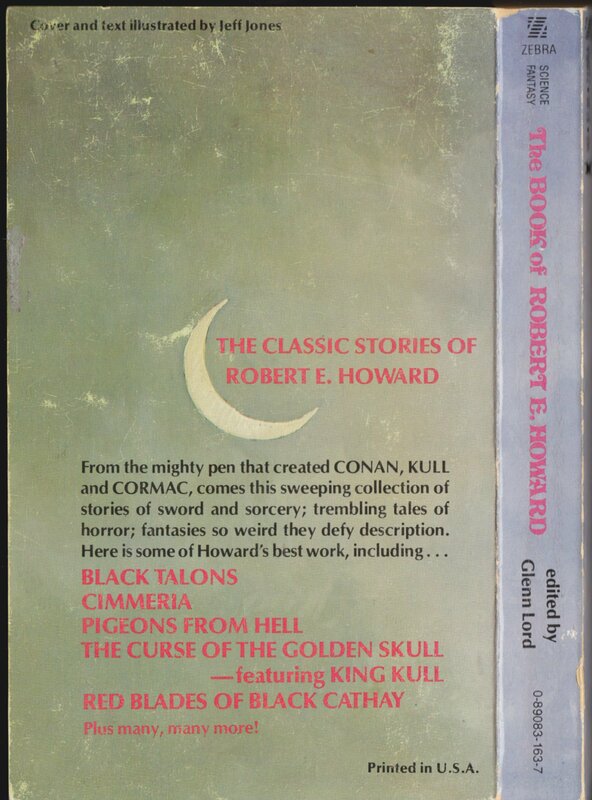 Keywords: Jeffrey Jones, The Hand of Kane by Robert E. Howard, The New Adam by Stanley G. Weinbaum. 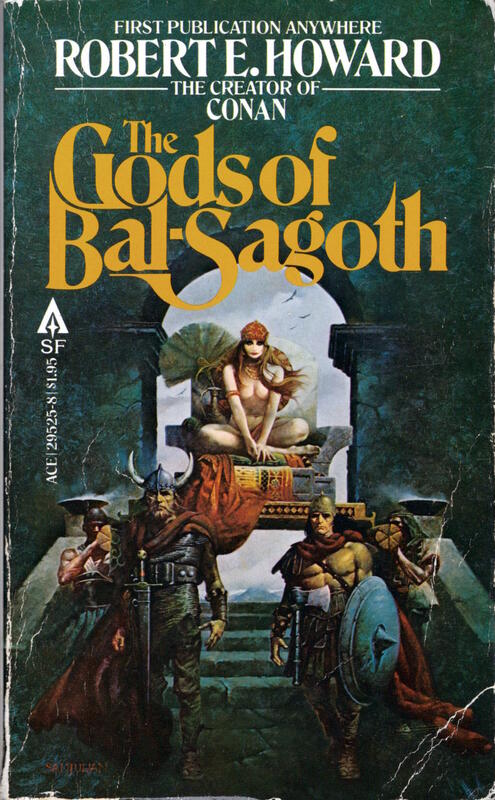 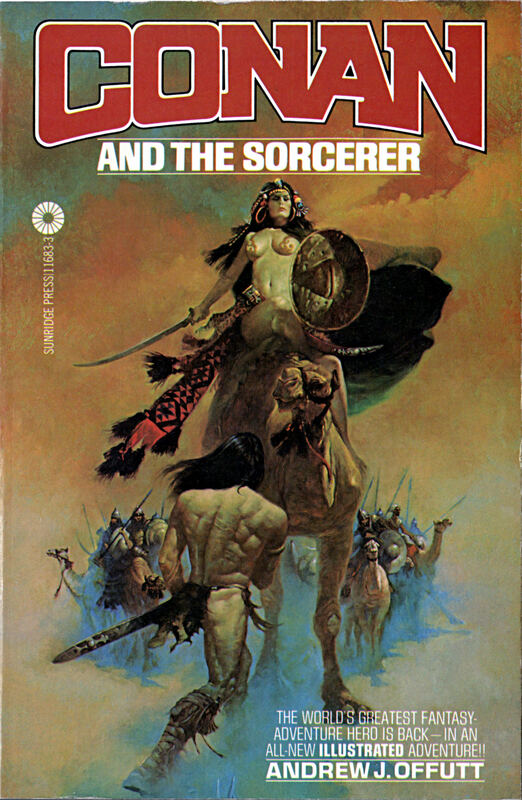 ABOVE: Andrew J. Offutt, Conan and the Sorcerer (Sunridge Press, 1978), with cover art by Sanjulian. 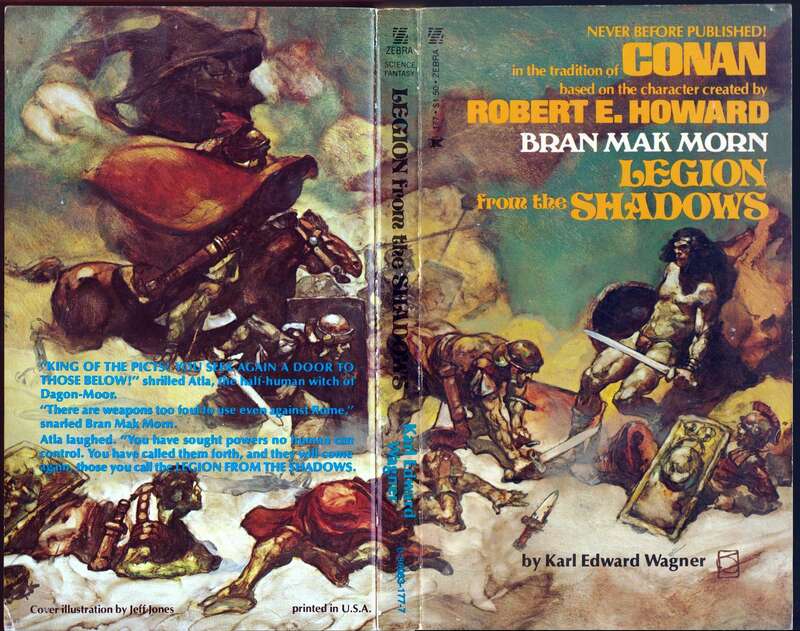 ABOVE: Robert E. Howard, revised by L. Sprague de Camp, Conan: The Treasure of Tranicos (NY: Ace, 1980), with cover art by Sanjulian. 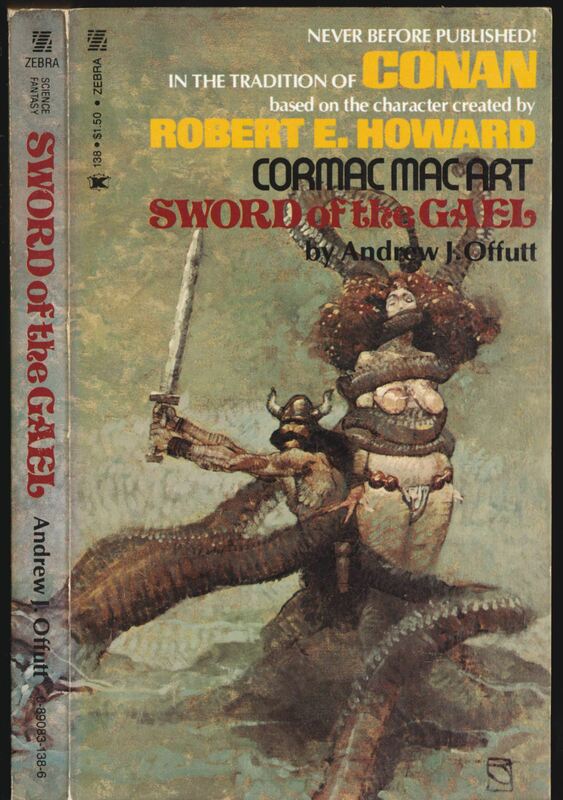 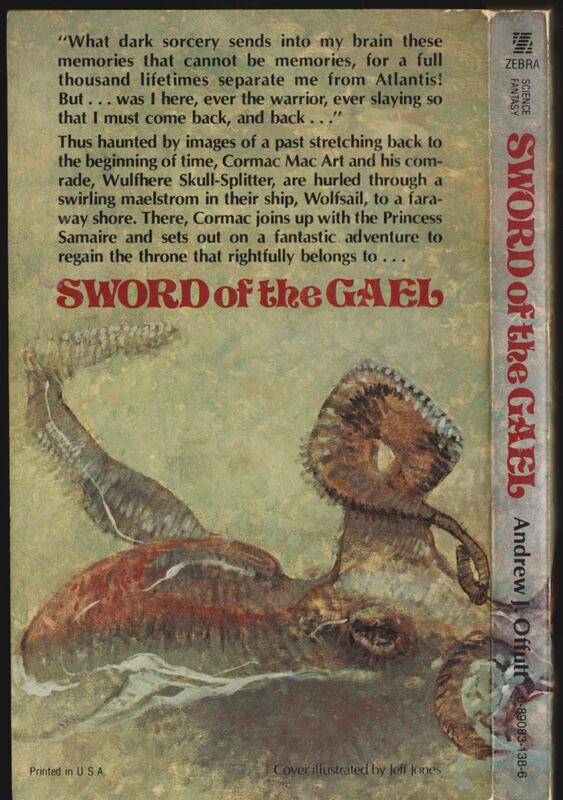 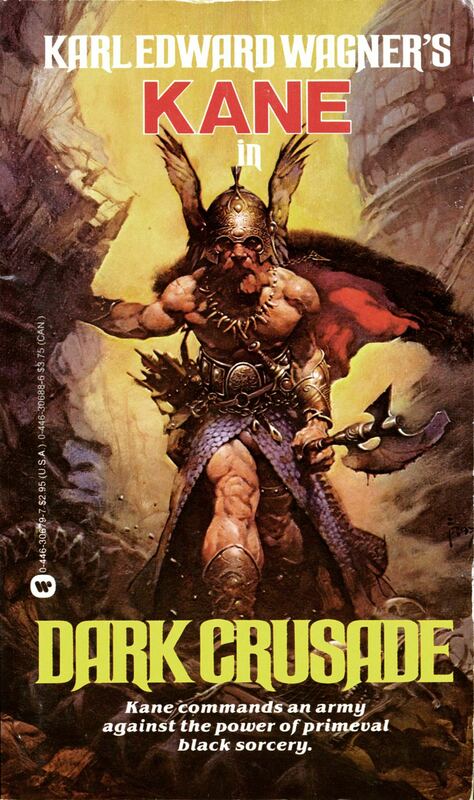 ABOVE: Robert E. Howard and L. Sprague de Camp, Conan: The Flame Knife (NY: Ace, 1981), with cover art by Sanjulian. 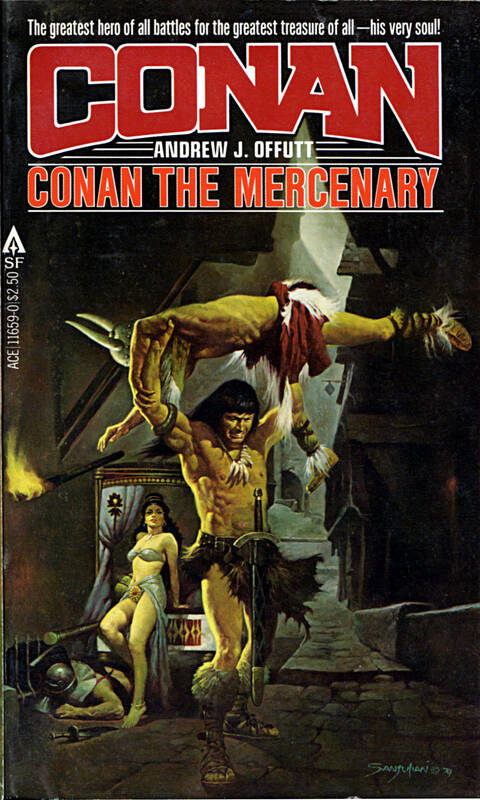 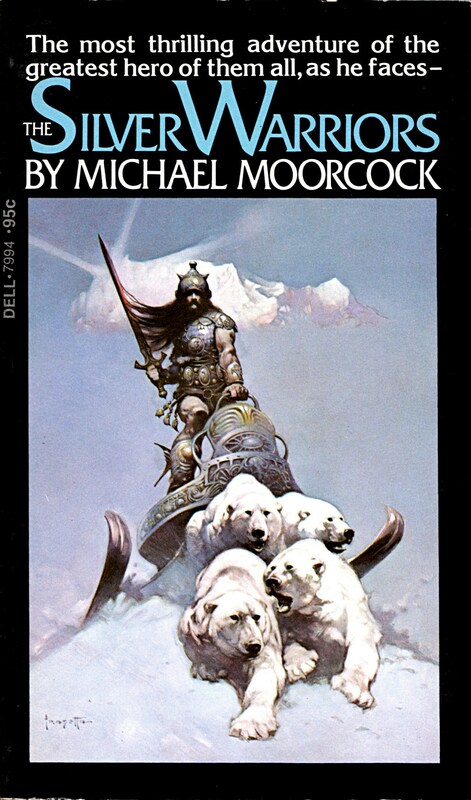 ABOVE: Andrew J. Offutt, Conan the Mercenary (NY: Ace, 1981), with cover art by Sanjulian. 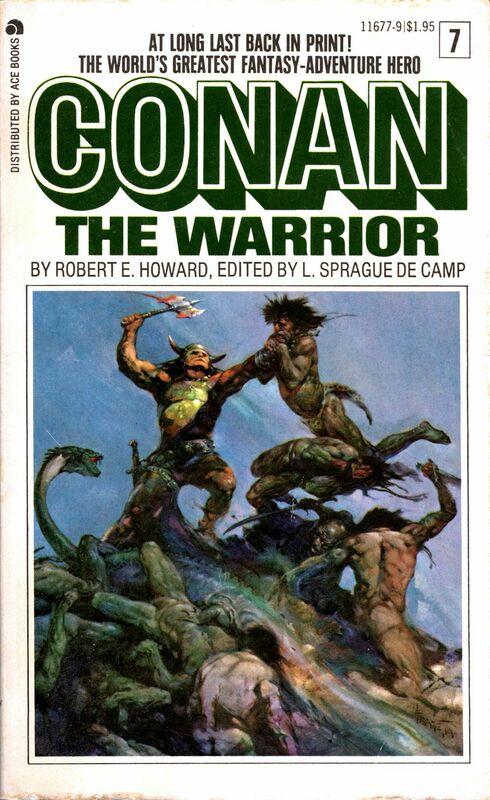 Keywords: Conan: The Flame Knife by Robert E. Howard and L. Sprague de Camp; Conan: The Treasure of Tranicos by Robert E. Howard, revised by L. Sprague de Camp; Conan the Mercenary by Andrew J. Offutt, Conan and the Sorcerer by Andrew J. Offutt; Sanjulian. 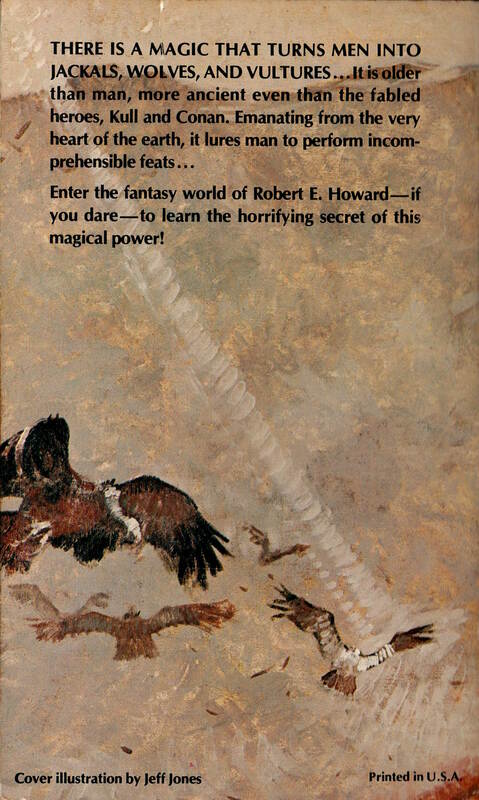 To view all of the Zebra/Kensington paperbacks with cover art by Jeffrey Jones that I’ve posted over the years, click here. 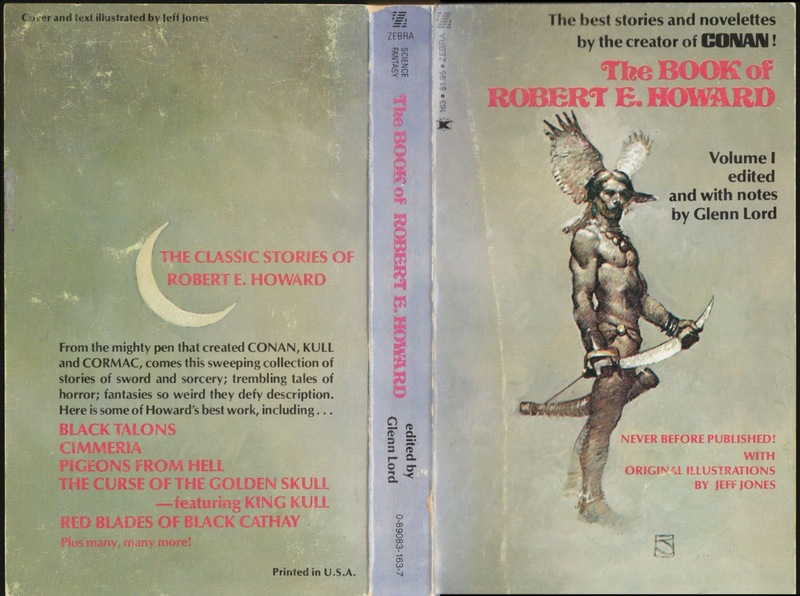 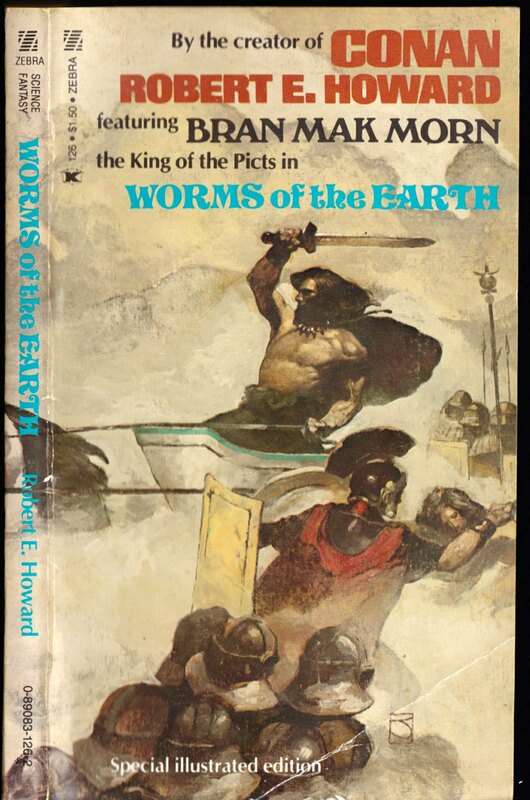 To view all of the Zebra/Kensington editions of Robert E. Howard’s books with Jones covers that I’ve posted so far, click here. 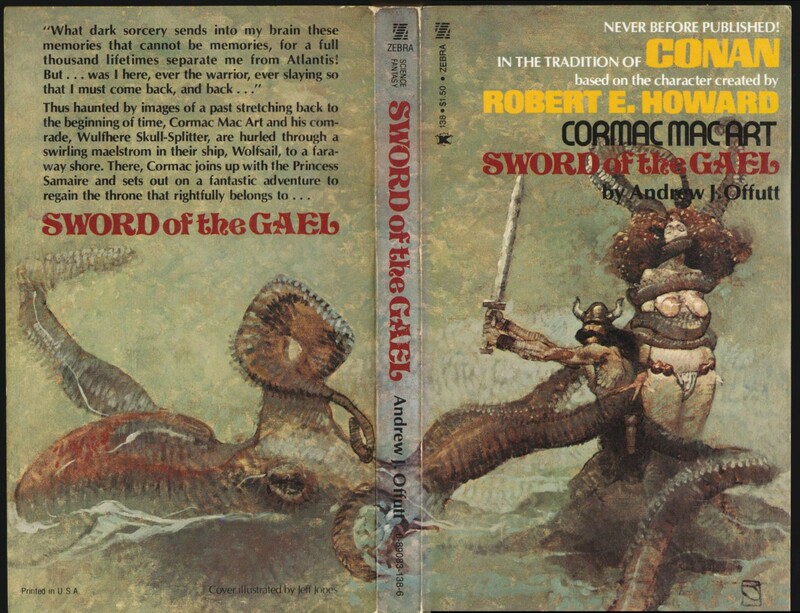 Keywords: Tigers of the Sea, The Second Book of Robert E. Howard, Cormac Mac Art. 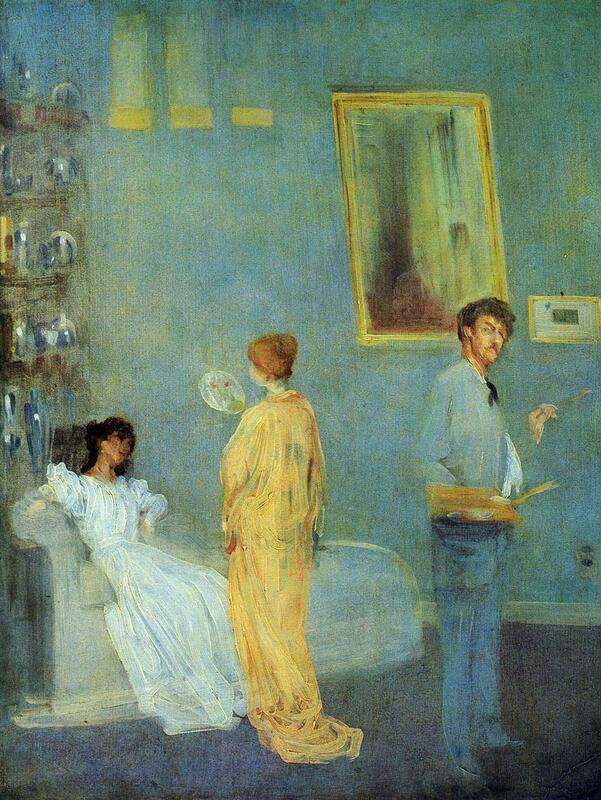 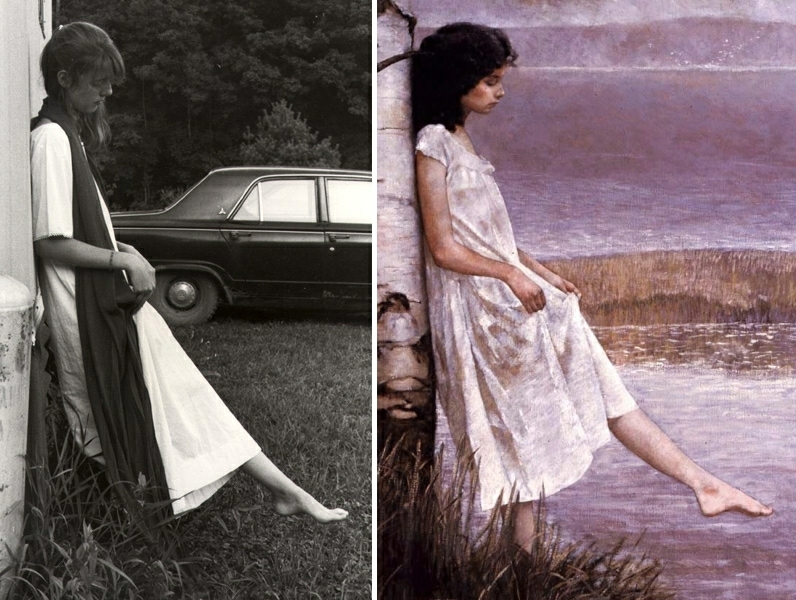 “My work looks the way it looks because I shoot reference. 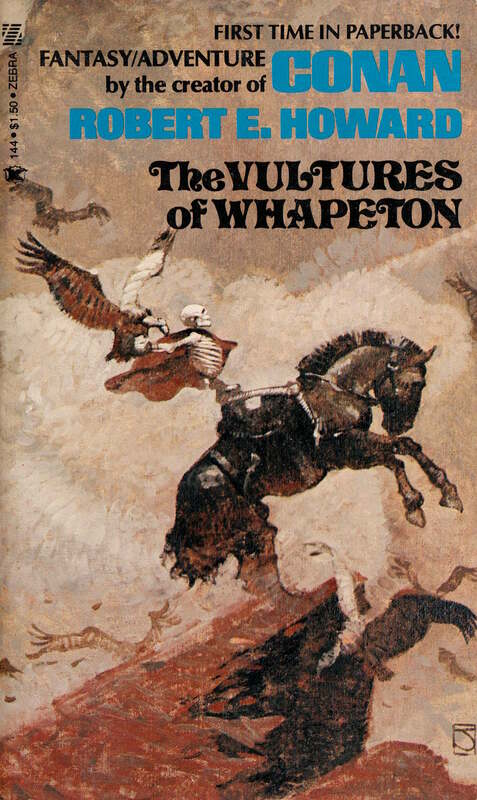 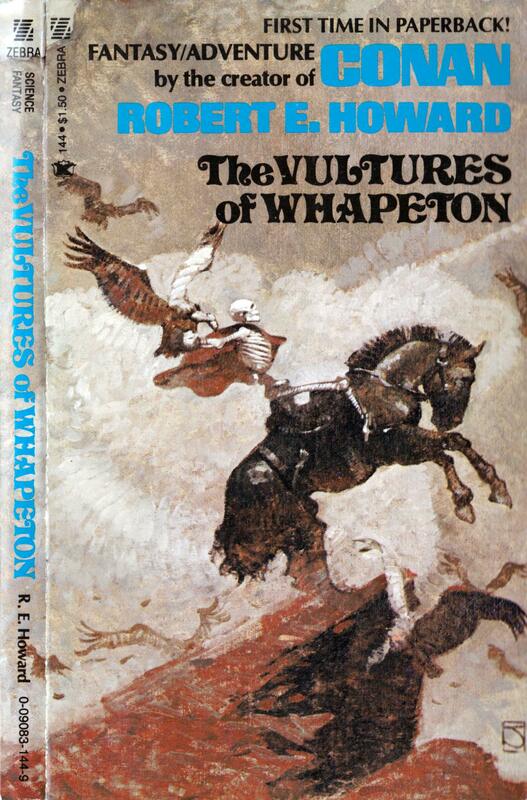 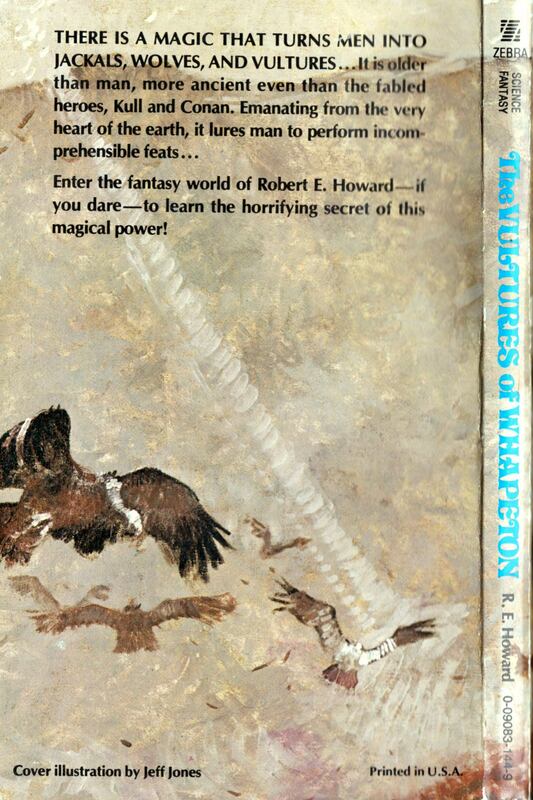 Keywords: The Vultures of Whapeton. 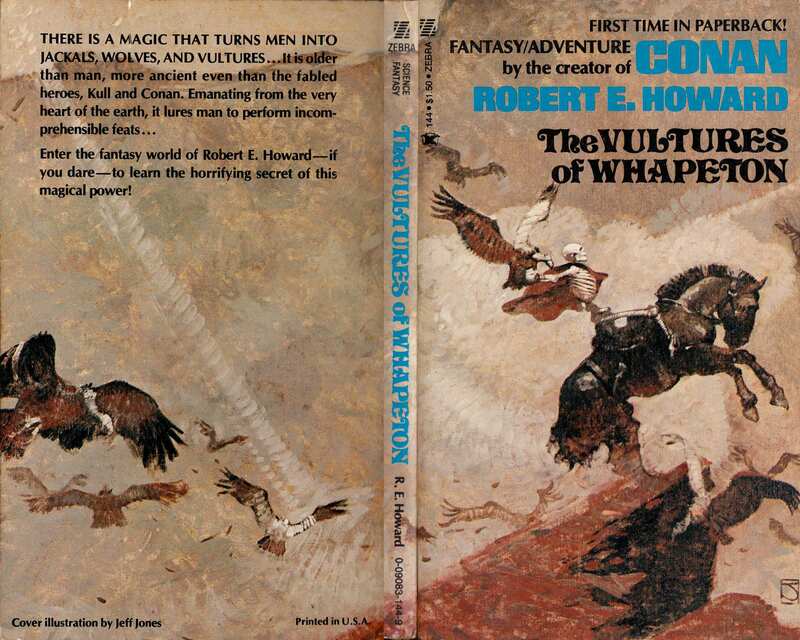 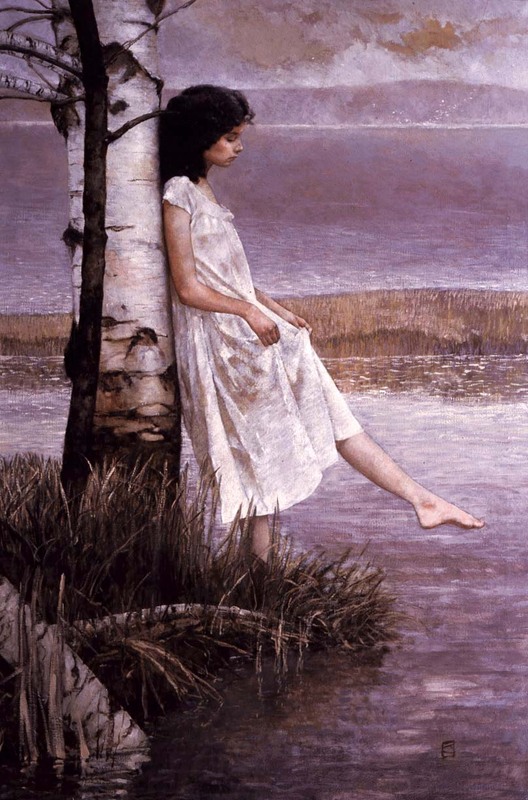 As I noted on this blog a long time ago, Jones’s paintings for Zebra Books/Kensington Publishing Corporation were one of the high points of the artist’s career as a cover artist. 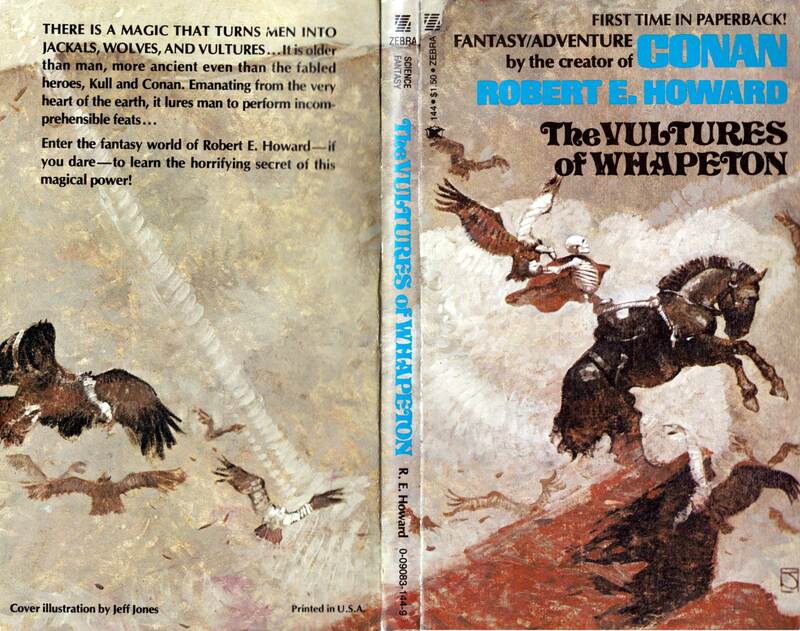 What I find interesting when I compare the two covers posted below, though, is the difference in Jones’s imagery and technique from one to the other. 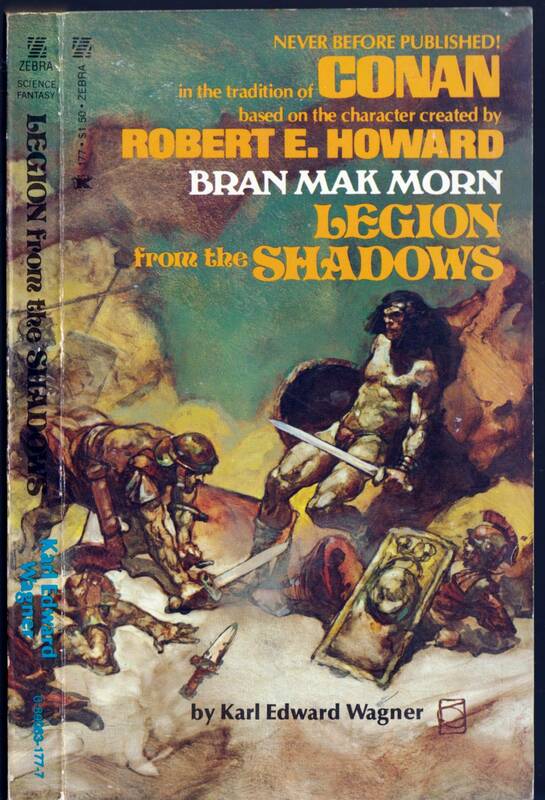 Whereas Legion from the Shadows features a rather abstractly composed fantasy battle scene delineated in thin washes of oil paint with relatively little opaque overpainting — some of the lightest lights in the painting have been created simply by wiping out the paint to expose the white ground — The Sowers of the Thunder explicitly hearkens back to the imagery and technique of James McNeill Whistler as evidenced in works such as Variations in Flesh Colour and Green: The Balcony and The Artist’s Studio, both of which I’ve included below for the sake of easy comparison. 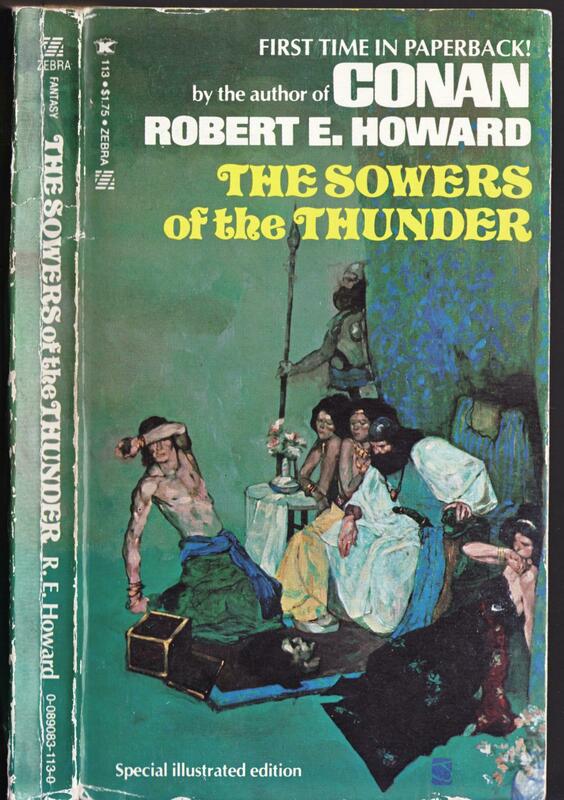 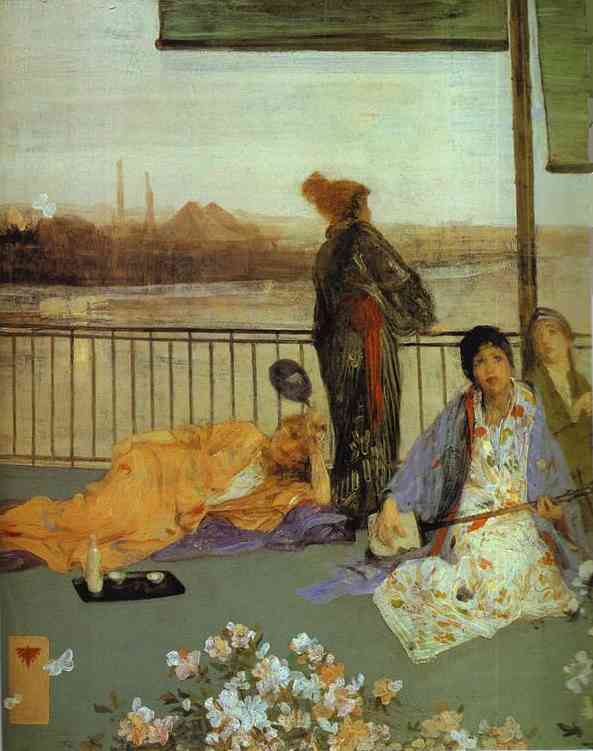 Whistler and Robert E. Howard — an odd couple if ever there was one! 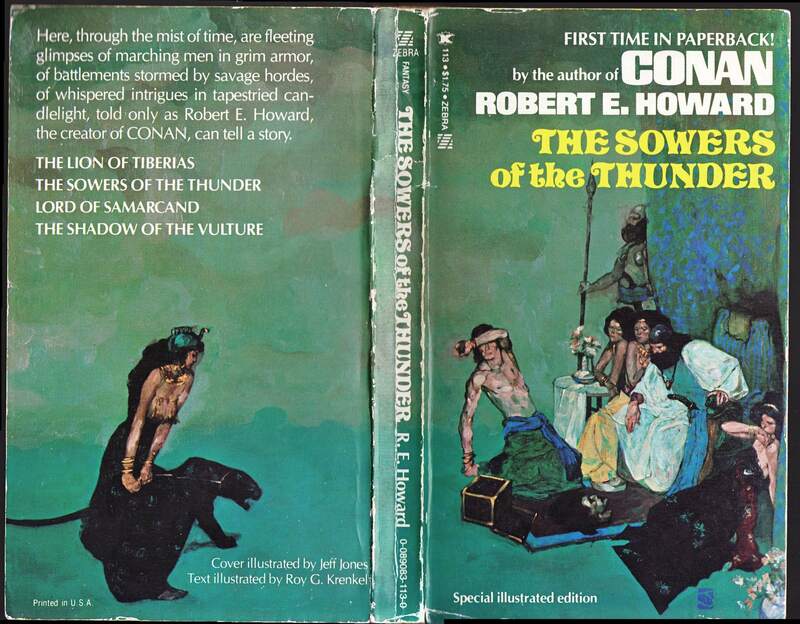 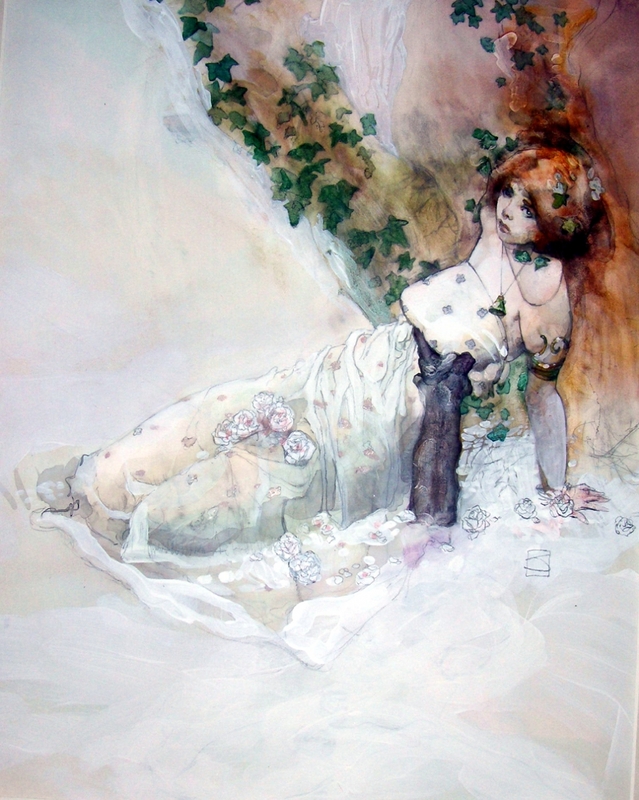 The final two images above provide a comparison between the figure in the right foreground of The Sowers of the Thunder and the original art for one of the plates in Jones’s As a Child portfolio (Colchester, CT: Black Lotus, 1980). 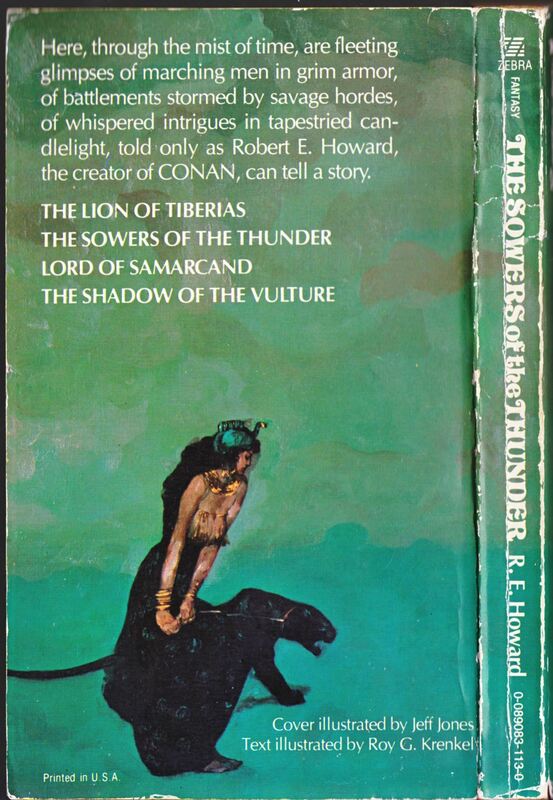 Keywords: Bran Mak MOrn, The Sowers of the Thunder, Legion from the Shadows.